← Legion is Insane… no, INSAAAANE!!!! I am not ashamed to admit: I have cried while playing Zelda. What? I’m an emotional pushover, and some of these scenes can get pretty tender and tragic! There’s the death of the Deku Tree in Ocarina of Time. There’s the final parting with the King of Red Lions, the last king of Hyrule, in Wind Waker. There’s bidding farewell to Midna in Twilight Princess. There’s the redemption of the Skull Kid in Majora’s Mask. In the same game, there’s the ghost of Darmani, the death of Mikau, and the Deku Scrub butler weeping before the remains of his son. There’s so many scenes. But, I have to admit, there is one that stands out to me. It’s in a game that I’ve only played the beginning of, but seen the ending. And it is one of the most heartbreaking endings of them all. 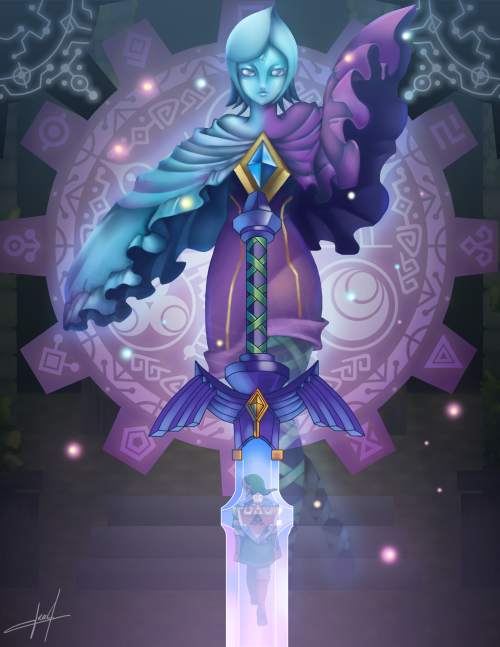 From Skyward Sword: Fi’s farewell. I think we can all agree, this is a very sad scene, and for a number of reasons. Firstly, of course, we are saying good-bye to this game’s companion, a friend who has been with us through all our adventures in ancient pre-Hyrule, and they take their time with it. After we return from the battle, Fi simply pops out and says it’s time to say good-bye. She’s so matter of fact about it, about how she can already feel her consciousness fading, that we are right there with Link and Zelda, horror struck, yet helpless. And yet, after we return the sword to the stone, she comes out one last time, and expresses gratitude, even happiness. She does feel something after all. And just as she’s learned to feel it, she’s gone. Forever. Secondly, it’s a very well-crafted scene. In addition to saying good-bye to Fi, we are saying good-bye to Impa and the game as a whole. The story is over, and we come to “the end.” And all of this is set to such beautiful, heart-rending music, it’s even more difficult not to tear up. Thirdly, and this is the one that really gets to me: the context of the scene. To explain what I mean, compare this with the other sad scenes I mentioned. When the Deku Tree dies, he dies victorious. He’s withheld what Ganondorf wanted from him and given Link his quest. Though there are terrible setbacks along the way, Link ultimately wins the day. If not for the Deku Tree’s final act, sending a small seed of hope out into the world, all of Hyrule may well have been lost. Instead, the man who kills the Deku Tree loses in the end. When the King of Red Lions bids farewell to Link and Zelda/Tetra, he, too, is victorious. He has saved the world, he has saved the future, and he has saved the two children in whom he has entrusted his hopes. He has also sealed the fate of Ganondorf, the man who destroyed his kingdom in the first place, a vindication that has been a long time coming for the king who once failed his kingdom. Though his ending is buried in the cold darkness of the ocean’s depths, he, like the Deku Tree, has scattered the seeds of the future. When Midna departs, that is after their victory over Ganondorf. Her enemies are dead, the spell over her is broken, and her throne is just waiting for her to reclaim it. She’s not just a winner in the end, she’s a living winner. It is mere circumstance that forces her to say good-bye to her friends. The Skull Kid has not only been saved from Majora’s Mask, but he’s reunited with his old friends, the Giants. He thought that they’d abandoned him, but they never stopped loving him. Learning this overwhelms him. Every bad thing he did was for nothing, and now, at last, he has his old friends back, and some new friends, too. Not a bad thing, that. Joy can sometimes bring more tears than sorrow. As for the people who were hurt during the Mask’s rampage, as best represented by the three I mentioned earlier: all three are able to pass their quests on to Link. Darmani and Mikau were able to do so literally, and those they loved were saved through the act. The Deku Scrub butler is one of the only people left sorrowing at the game’s end, and who wouldn’t weep, seeing that all that remains of their son is a twisted visage frozen in time? But in the Mask’s malevolence, it sowed the seeds of its own demise. Small comfort, perhaps, but at least justice has been done. The sword that slays evil does not get a happily ever after. You notice a certain theme here? Despite the loss, the pain, the death, even the despair, there remains hope and victory. Fi doesn’t have that when she says good-bye to Link. Oh, they’ve won the battle, yes. Their purpose, her purpose, has been served. Demise has been defeated, soundly. And for her part in that victory, now she “goes to sleep without end.” It seems much like any of the others, does it not? Perhaps, but there is a difference. 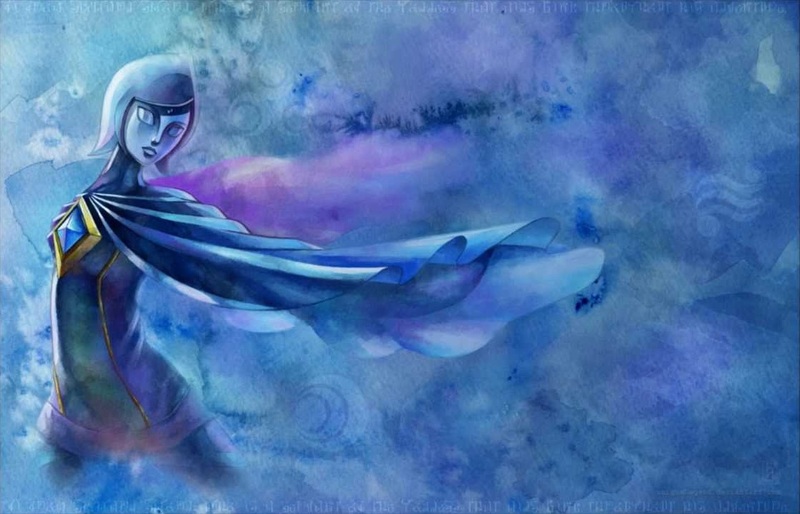 If Fi were truly victorious in her purpose, then how was Demise’s curse fulfilled? If his essence was sealed away, how does he have a reincarnation? 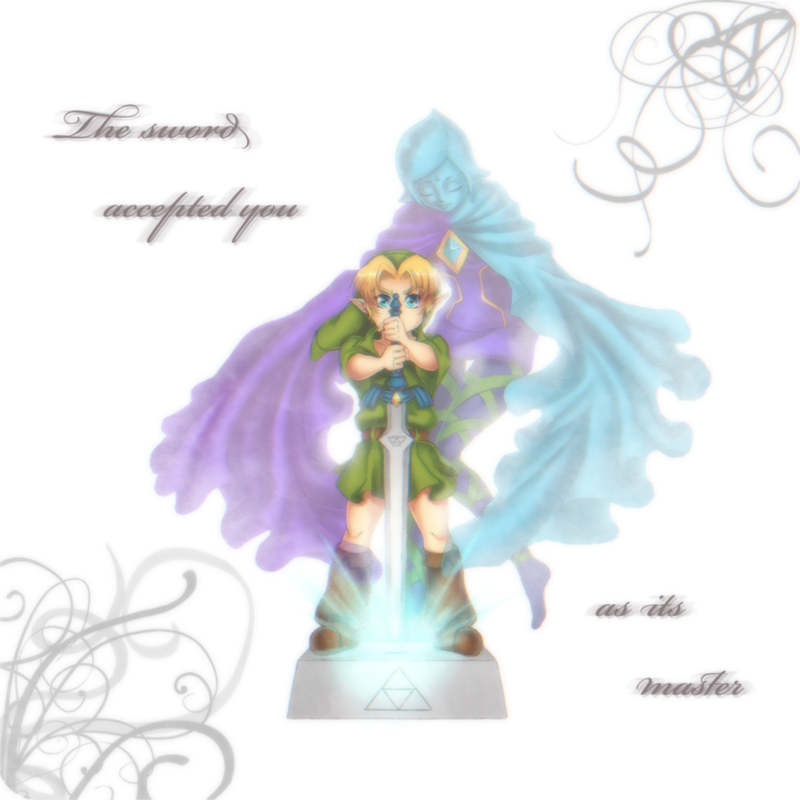 My theory is: said essence escapes the Master Sword. Fi is gone forever, never seen again, and her last task, ensuring Demise never returns, remains unfulfilled. Oh, the majority of Demise may have been destroyed, but that tiny fragment that got loose has plunged Hyrule into destruction again and again, tormenting both Zelda’s descendants and Link’s reincarnations. This touching farewell scene, then, isn’t just Fi’s departure. It’s the last act of her conscious existence, before her eventual failure. …isn’t that just so sad? This entry was posted in 30-Day Zelda Challenge, Challenge Accepted, Games and tagged Legend of Zelda, Skyward Sword. Bookmark the permalink.